With the advent of compulsory Unique Device Identification (UDI) for medical device labels, companies in the sector must select a device identifier issuing agency. The device identifier itself – a numeric or alphanumeric code – must include a device component identifying the labeler and the particular version of the device, as well as a production component, which identifies the individual device with a combination of production date, ‘use by’ date and batch number. HIBCC – Health Industry Business Communications Council. A not-for-profit agency, HIBCC has traditionally worked in the medical device sector, issuing alphanumeric codes for which customers pay a one-off fee. The organization sets standards for the healthcare industry. HIBBC issues Health Industry Numbers (HIN). GS1 – a not-for-profit agency that traditionally issues numeric codes used by the pharmaceutical sector, setting standards for healthcare, supply chains and electronic data exchange. Each GS1 code has to be renewed after a certain period of time. GS1 assigns Global Location Numbers (GLN). ICCBBA – International Council for Commonality in Blood Banking Automation. This non-governmental organization deals with medical products of human origin, including blood products, tissues and organs for transplant. At least 75 countries use the ISBT 128 standard which the organization manages. ICCBBA is FDA-approved to issue codes for blood bags, human cells, tissues and cell and tissue-based products; its codes are typically used by blood banks, tissue banks and organ transplant banks. 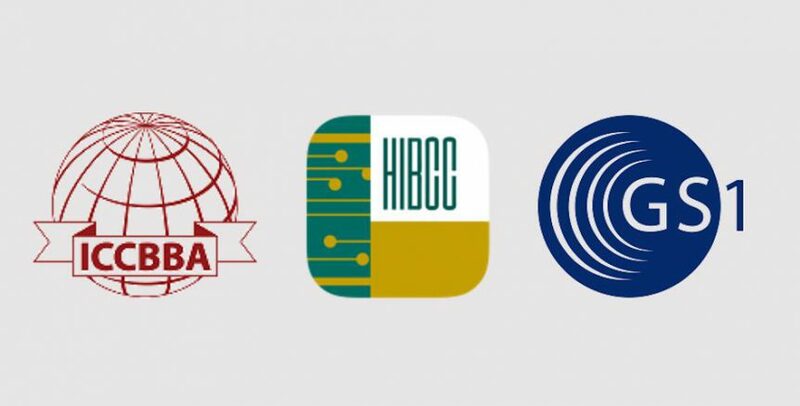 ICCBBA issues Facility Identification Numbers (FIN). What to consider when deciding on UDI issuing agency? Do you already use one of these agencies? If so, there may be good reasons to continue with the same one, such as for consistency and ease of administration. Which agency do your customers use? If they have already implemented UDI systems, or plan to do so, they may have chosen an issuing agency. Choosing the same agency as the majority of your customers (or as the customers who account for the greatest volume of work you handle) could be a smart move. Do you label blood, cell, tissue and organ devices? If not, then ICCBBA probably isn’t the best option for you. On the other hand, if you exclusively label these products, ICCBBA is most likely the best agency for you. Where do you do the majority of your business? Some countries strongly prefer medical devices labeled with a certain agency’s code. So if a significant portion of your commercial activity is in that country, this may influence your choice. How much support will you need to implement your UDI system and manage the ongoing requirements? Each agency offers a different level of service to its customers: contact each one to determine what best suits your business. Should you license codes or acquire them? The cost will depend on the volume of codes you will need, so look carefully at the service offered by each agency.